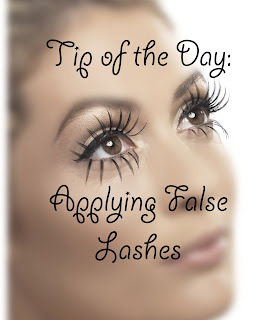 Today's tip has to do with false lashes. When you are applying fakies, follow these simple steps and you will nail it! 1. Remove the lashes from their container and place them up to your eye. Make sure they won't be too long and irritate the inner corner of your eye. If they are too long, snip off the needed amount. 2. Pick up the lash with a pair of tweezers and apply glue. You can apply the glue to the lash directly from the tube or put a bit on your hand or another surface and dip the lash in. I personally like to apply straight from the tube. Use DUO glue or something comparable, you can get it at MAC, Sephora and many other places as well. DUO glue is waterproof and very gentle on the skin. It won't irritate your lids and peels off easily when your ready to remove your lashes without tugging or pulling! 3. Wait 20-30 seconds for glue to dry a bit. This will make it stickier and less slippery and therefore much easier to apply. 4. Tilt your chin up and look down, use your tweezers and drop the lash into place, as close to the lash line as possible. 5. After you have dropped the lash, use your tweezers to stick one side of the lash down. Give that side a second or two to secure, and then secure the other side of the lash. I like to start with the outer corner and then secure the inner corner last, but this is preference! 6. Wait a few seconds to make sure the lashes are very secure and then take a Lash/Brow groomer, like the one sold by Real Techniques, and run it through your lashes to blend the falsies with your real ones. This will make them look more natural. You may also want to use an eyelash curler and curl both sets of lashes together. 7. 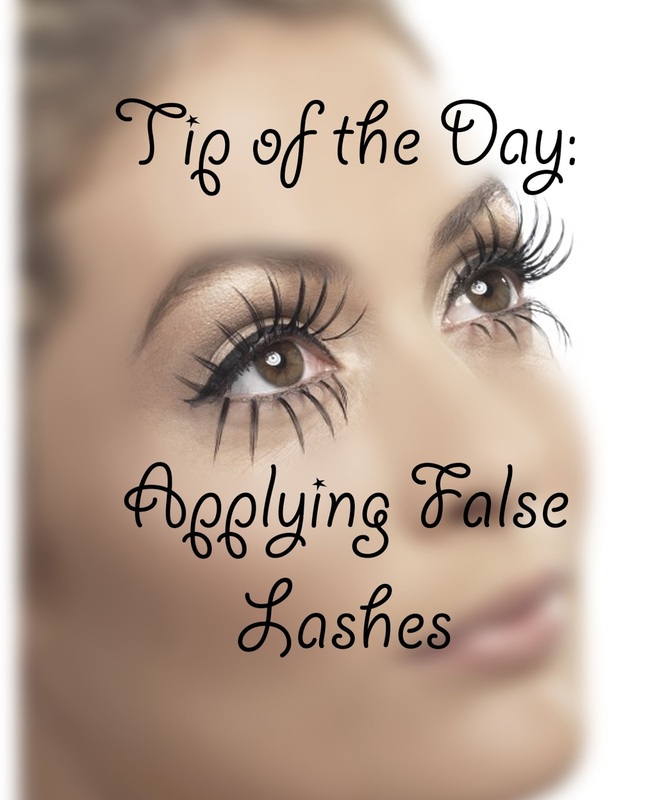 This part is optional: Use mascara to further blend and mesh your lashes with the fake ones. I don't do this often because it makes it harder to re-use the lashes. But it can definitely make them look more natural! After following these steps you should be good to go! And with DUO glue the lashes should stay put for hours and hours without budging! To answer your question about iOS7 on my blog... Yes it will be available for 4s! When it is available to the public you can just update over iCloud or through iTunes with everyone else! I have yet to try false lashes but I definitely want too! I'll have to refer to these tips!